You are here: Home / 2014 Show Archive / Animals Today March 23, 2014: Ending the Canadian seal hunt. Exotic animals as pets. On this show, Peter was joined by Rebecca Aldworth, Executive Director, Humane Society International/Canada. 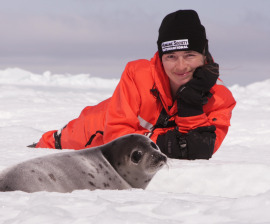 Aldworth has witnessed the seal hunt for the past 15 years and believes the end of the hunt is near, despite the Canadian government’s support of it. We explored the practice and problems with owning exotic pets. From small rodents like chinchillas to pythons to tigers, why do many people want to possess these animals? Plus, what is the most ever paid for a dog? And a sixth grade teacher who has 400 snakes at home was arraigned. 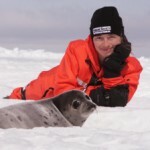 Tell the Canadian government to end the seal slaughter.